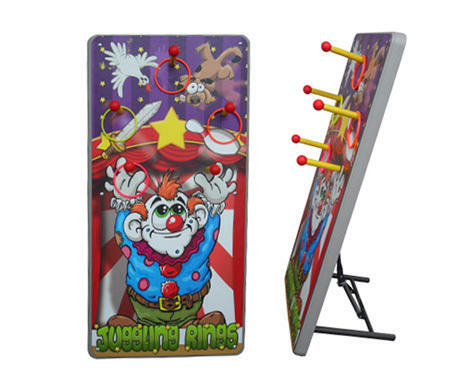 Test your circus skills as you toss rings at this juggling clown to complete his performance. Three rings are provided with this game. This game stands 4ft tall. Set-up by delivery staff.